Ilil Arbel is the author of several books, including biographies, memoirs, novels, mythology/folklore, and fantasy. She wrote short stories, articles and educational materials. 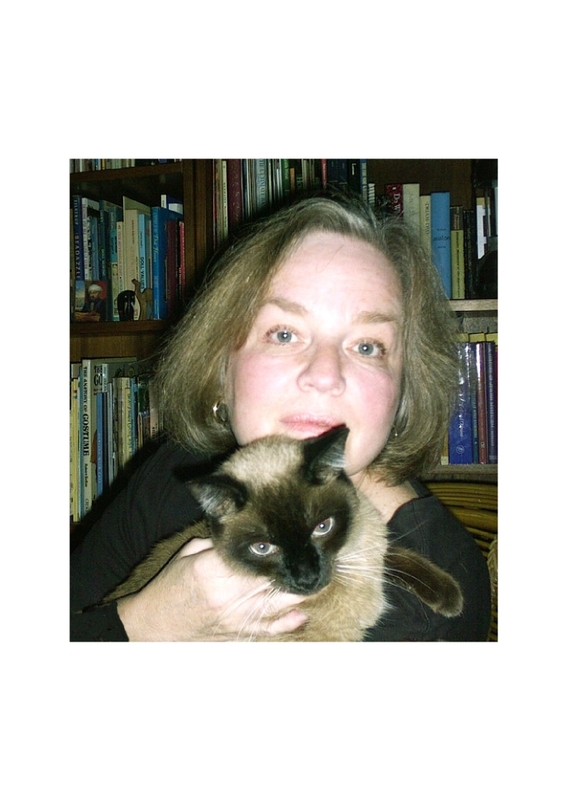 Some years ago, she wrote Witchcraft, a curriculum-enrichment book, currently available on www.pantheon.org for the benefit of those interested in the theory behind the fiction. She contributes regularly to Encyclopedia Mythica, an award-winning online encyclopedia of mythology and folklore. A tiny Cinnabar box contains the key to the water supply of an entire planet. The ecology of the planet depends on a great river that periodically overflows, much like the Nile in Egypt. Only the key’s rightful owner can restore the water supply, which has been hidden for centuries. The task needs a trained army – but for the moment, it is in the hands of thirteen-year-old Donna, who has just learned a shocking secret about herself. Donna must survive in an alien reality where magic is commonplace, and where she meets many dangerous beings she previously considered the products of fairy tales. A nightmarish trip to the terrifying Wizard Island, a ghost town that imprisons visitors in its empty houses, and encounters with an evil renegade vizier who is determined to turn the planet into a desert, are just a few of her adventures. Throughout many ordeals, Donna uses her wits and relies on two important facts. First, she must save her kidnapped aunt, whatever it takes. Second, she must never, ever break the Wicca Code! David. What made you decide to write this book? Ilil. The book combines three elements – Wicca, ecology, and mythology. I have always been interested in Wicca, and the more I learned, the more I realized that they were not the magic- making simpletons that appear in so many books for young readers, nor are they scary and ominous. They are the original ecologists – people who knew the worth of having balance with nature. And one day I thought – why not write a book that would combine the two aspects? And to make it more interesting, why not populate the book with “real” persons from world mythology and folklore? And that is how I started developing the theme. David. Where did the title come from? Ilil. The title of the series is Guardians of the Earth, which is my way of thinking of the Wicca. 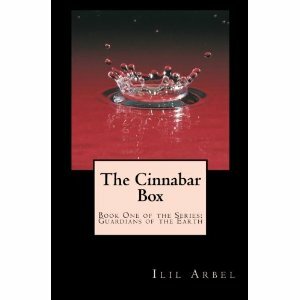 The Cinnabar Box is simply descriptive of the key element in the story – the tiny box that hides a big secret and cannot be opened by anyone except the rightful owner. David. Do you always write in this genre? Ilil. Not at all. I am rather eclectic in my choice of subjects. David. What was your inspiration to write and when did you start? Ilil. I started some years ago, set it aside, and then came back to it. It happens to me often… I work in quantum leaps, not in a linear fashion. As for the inspiration, I think it’s more a realization of the new generation of smart, resourceful, intelligent young girls. I wanted to write about a girl who meets the challenges life throws at her with courage and loyalty. Donna, the protagonist, does not have training in magic quite yet, but her commitment, intelligence, and love would pull her through the worst situations. She is far from perfect – she has human flaws like the rest of us – but she will rise to the occasion. David. What was your destination to publishing? ie are you self published. Ilil. No, The Cinnabar Box was published by the new outfit, MediaBlvd Publishing, and they plan to publish the rest of the series. With the publisher’s permission, I also put the book on Kindle. David. Do you have a website to share? Ilil. I am embarrassed to confess that I have never created a website. It will be remedied soon; I plan to create one as soon as I can. And I am told I must blog as well… that scares me. What if I talk too much and bore people to death? For the moment there is plenty of information about me anyway… the Author’s Page on Amazon.com, Facebook, and Linkedin, like the rest of the world. In addition, some can be purchased from http://www.barnesandnoble.com, or they can be ordered through Barnes and Noble and Borders regular stores. he girls stole into Grandmother’s tent, carrying the Cinnabar box and a written note of explanation wrapped around it. Grandmother and the animals were sound asleep on their blankets. Donna put the little packet on a clean plate on the workbench, and the girls crept out of the tent and returned to Jessamine’s to attempt the reality shift. “Not so fast,” they heard a voice. Bartholomew was sitting on a pillow inside their tent, his straw hat pulled low on his forehead. “It’s tremendously dangerous, Agent Bartholomew,” said Jessamine respectfully. “Should we pack anything else?” asked Donna. She took off a ring, mounted with a small crystal ball, and slipped it on Donna’s finger. She put her arms around the donkey and the girl. Small lights appeared in the ball, dancing, fleeting here and there, growing and expanding. Gray fog materialized in the ball, easily, effortlessly, gracefully. It filled the ball. The fog drifted out of the ball like a tiny tornado. It grew into a mantle of soft, swirling wind. It caressed and encircled the trio. Red, glowing numbers appeared in the ball. They shifted and moved, but were firmly planted inside the gleaming glass. They stood on a windswept beach, illuminated by the pale light of an early afternoon. Black tar and rank, limp seaweeds mixed in filthy shallow pools and on the wet sand. Blue-black water mirrored sunless sky. The sound of the wind mingled with the shrieks of sea-birds. Donna gazed stupidly around her, blinking and shaking. Bartholomew laughed. “Where are we?” she whispered. They followed her into a cove lodged between rugged cliffs. A large, dark hole in the ground gaped at them. No gate, no sentry. Anyone who chose to take the risk could go down. They descended the slippery, winding stairs. The rock walls emitted the odor of brine and seaweed, and the air became increasingly suffocating. Finally they reached a huge, cavernous chamber cut directly into the rock. Heavy slabs of rock, serving as desks, supported many books, quantities of paper, and various writing tools, but no computers or even old-fashioned typewriters. Donna opened a book at random. It contained nothing but blank paper. Suddenly, letters leaped into the paper from nowhere, and the page blazed with fiery red and green words, written in an unfamiliar language. After a few minutes, the writing disappeared, and the page turned by itself. New words appeared on it, stayed for a short time, and vanished. They left the school and walked, following the path described in the address book. The island, a dismal, flat place except for the rugged cliffs on the beach, presented an unchanging landscape. Their destination was not far. Another hole in the ground gaped at them. “We will have to creep in carefully. The occupants are probably asleep, but they may have a sentry,” said Jessamine. They crept down silently, treading each stair with extreme care. Reaching the bottom, they entered a room similar to the school, but smaller. A few doors opened to other rooms, furnished with plain, stone carved furniture. Whatever the Vizier did with his incredible wealth, it was not evident here. There was no sign of life, let alone Aunt Yolanda. Donna repeated, but could not continue to concentrate. She saw the purple cloud advancing. It followed them, playing with them, laughing viciously. She tried. Palms sweating, heart beating. The cloud hovered above them, grinning, obviously enjoying their terror. Without warning, the blue mouth emitted a long, high screech. A small rock at Donna’s feet immediately exploded, sending a shower of splinters and torn seaweeds around her. Some of the material hit the water. A small whirlpool started to swirl in the dark water. It grew steadily. Donna’s mind blanked out. Nothing occupied it except the face of the Vizier, mocking her, paralyzing any strength she had left. The whirlpool grew. A huge foam column started forming around it. From a distance, large and small waves, coordinated like advancing soldiers, marched in unison toward the whirlpool. The growing water column fed steadily on the waves. Enormous now, it covered the sky with its swaying bulk. The darkness was torn by purple lightning. The column approached them as if walking on the water, gliding with oily ease. They stood at the entrance to Grandmother’s tent. Thanks Ilil. and the very best of luck with the book. A very entertaining read as witches and wizards are all the rage nowadays –I just loved the donkey Bartholmew . Hope it makes it big time . Interesting interview, Ilil and David. I really enjoyed the excerpt, getting to know some of the characters is fun. I, too, like the mischievous donkey and find the names of the characters to be unique. So very interesting! I know several of my colleagues would be interested in this author and for once, I am curious being a youth counsellor, I run across so many girls talking about Wicca. Such a great idea to have these interviews. I love to read and am always looking for something to captivate my interest.I have a bit of a rebellious nature…if the author is pushed too much by media and talk shows, I may read the book years later. Thank you. A very nice lady to interview with a fascinating blogsite of her own. http://ililarbel.weebly.com/ and her Madame Koska novel was exceptional. My pleasure, so nice to see you are a hugger, says the part French, part Welsh, part Irish hugger…I’m thinking the combination explains my need to hug. The Welsh blood must be where the hugging comes from then since obviously it’s where mine comes from. I suspect you probably inherited other great traits from the other cultures. Certainly being outspoken and hugging is also a French trait and perhaps Irish is the storytelling, who knows really, we are all a tapestry of sorts here in Canada….when it comes to politics in Quebec, I lean on the fence…and stick up for the minority. Ha, that must be a difficult one both leaning on a fence and yet supporting one of the protagonists.With you mentioning the minority, I’m guessing that would be the French part of you. I can certainly understand how they feel but I think Canada is better United and I hope the Welsh and Irish sides still have a bit of pro-Monarchy in them. I actually take the side of the English (which Quebecers call us anglophones). I went to English school all my life, my father was the Welsh/Irish and my mum, French but she is a federalist and agains separation. I have lived my life standing up for anglo rights actually. When I lived in Ontario however, well, then I was sticking up for francophone rights…I can’t pick the same side when they are a minority. Much better to be on the side of the underdog.Do you know where in Wales your father’s influence comes from? Maybe it’s close to where I am. To be honest I don’t think so Margaret. I don’t think the publisher came up to scratch so ultimately it’s an Indie work.